The two most popular New Year’s resolutions are also the most challenging to accomplish. Those are to lose weight and make more money. Although you can get to both of those goals, it won’t happen overnight. On the other hand, if one of your resolutions involves clearing the clutter from your home that can easily be taken care of with one call to Junk King. These are the junk removal pros that can get your home junk free in no time at all! Some Albany residents have already jumped in on the decluttering action and came away very impressed by Junk King. “The men were on time, pleasant, business-like and hard working. They quickly cleared out our area with no problem,” writes C.P. of Clifton Park. “You were easy to contact and prompt to respond. Your staff was courteous and on time, and took care of everything promptly,” posted James B of Rensselaer. “They arrived on time and were very personal, friendly and professional. I would definitely recommend this company. I had a lot of junk to move and it was done very efficiently,” writers W.H. of Berlin. Junk King doesn’t ever want to waste your time. They understand that once you’ve decided to get rid of junk, you want it gone ASAP! One call to Junk King puts the plan in action. 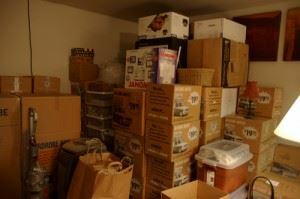 Typically, the junk removal sessions are completed within the next day. You could also ask for a same-day pickup. If it works better for Junk King to come out to your place on the weekend, then they can make that happen, too! You’ll be assigned two very capable movers who will be doing all the lifting and loading. This is really all you need to take care of most of your junk removal. There are those jobs that require additional help like with a hoarder cleanup. For those assignments, Junk King can dispatch a second team and truck to get the job done. As for professional, all the Junk King crews are licensed, bonded and insured. They also offer a fair pricing policy that is based on volume and not weight. That price is determined by an estimate of how much space your junk will need on the truck. One fee covers everything from the pickups to the drop offs. Clearing the clutter for the New Year is easy when you give the job to Junk King. This entry was posted in junk removal and tagged clutter, Junk King, junk removal on December 31, 2015 by Todd Porter. Last updated August 16, 2017 . Holiday parties are every bit a part of Christmas as the tree and Santa. In fact, if you’re lucky, you might just have Santa show up at your home during your party. 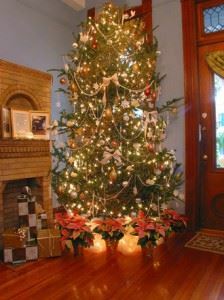 You certainly want to make sure the house is ready for the big guy and all your guests. That means some serious clutter removal. We’re not just talking about shoving everything out in the garage but getting rid of all the unwanted stuff once and for all. To make that happen, all you have to do is call Junk King. You’ll be amazed at how fast they can clean your cluttered home! The Junk King business model is built upon a simple notion: They do all the work. Your only responsibility is to decide what you want tossed out. Take a tour your entire home to see what it is you can do without. Remember, Junk King is going to be providing you with a two-man moving crew and huge truck to get the job done. Translation: There is no limit on what you can get rid off. That includes asking the Junk King team to climb down in the basement or up into the attic. A cluttered home can also mean a cluttered backyard. You can put Junk King to work out there, too. This is a great chance to remove old patio furniture or a crusty grill. Anything you have piled up by the garage or under the porch can finally be hauled away! Everything that is collected by Junk King has the chance of a new lease on life. You might be finished with the furniture or clothes you’re getting rid of but that doesn’t mean someone else couldn’t use them. Junk King has set up working partnerships with many local charities. They know exactly what these organizations are looking for at any given time. The Junk King crew will strive to make sure your stuff doesn’t go to waste. That is just how they roll. Once Junk King has worked their magic, you’ll have more room in your closet. That will make finding things a lot easier. You could even have enough space in your basement or spare room to set up a home office or gym. Let Junk King transform your cluttered home into a junk free home in no time at all! This entry was posted in Albany Junk Removal and tagged cluttered, Junk King, junk removal on December 23, 2015 by Todd Porter. Last updated August 1, 2017 .